India is a country, which consists of 29 states and 7 union territories. 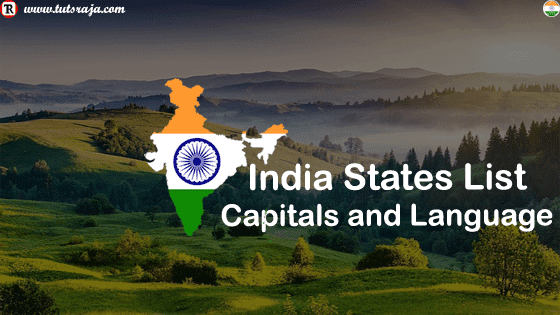 We are providing quiz, which is based on India state list, language, and capital. 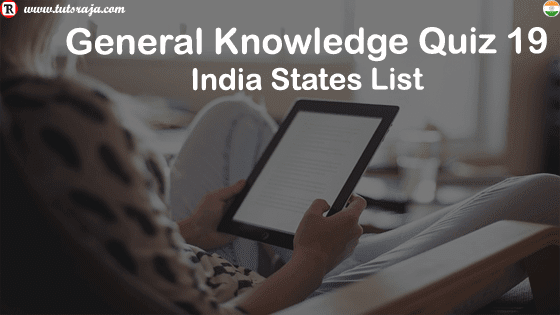 If you are not sure, learn something about India state list. 1. What is the capital of Assam State ? Dispur is the capital of Assam State. 2. What is the language of Karnataka State ? Kannda is the language of Karnataka State. 3. What is the capital of Goa State ? Panaji is the capital of Goa State. 4. What is the capital of Himachal Pradesh State ? Shimla is the capital of Himachal Pradesh State. 5. What is the language of Kerala state ? Malayalam is the language of Kerala state. 6. What is the capital of Mizoram state ? Aizawl is the capital of Mizoram state. 7. What is the capital of Rajasthan state ? Jaipur is the capital of Rajasthan state. 8. What is the language of Uttar Pradesh ? Hindi is the language of Uttar Pradesh. 9. What is the capital of West Bengal ? Calcutta is the capital of West Bengal. 10. What is the capital of Manipur state ? Imphal is the capital of Manipur state. India is a country located in southern Asia. The total area of India is 3,287,263 sq. km and estimated population is 1,293,057,000, making it the world’s second most populous democratic country in the world. India is a Sovereign, secular, and democratic republic with parliament system of government and is officially known as the Republic of India. India is a federal constitutional republic governed under a parliamentary system consisting of 29 states and 7 union territories in the country. Under the States Reorganization Act of 1956, the states were reorganized on the basis of language. Every State/UT of India has a unique demography, history, and culture, dress, festivals, language etc. All states headed by chief minister. The two union territories, Pondicherry and the Delhi elected form government and legislatures. They are headed by a Chief Minister. Remaining union territories are directly ruled by the Central government. The President is the head of central government. 2 Arunachal Pradesh Itanager Miji, Apotanji, Merdukpen, Tagin,Adi, Honpa, Bangini-Nishi. You will find a lot of questions based on Polity. 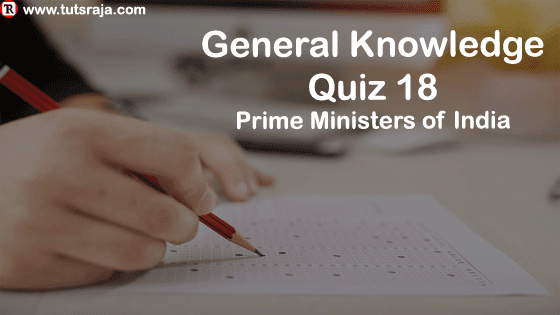 To make your preparation easy for competitive exams, we are providing you 10 quiz questions from a list of all Prime Ministers in India. 1. Who is the first prime minister of India ? Jawaharlal Nehru is the first prime minister of India. 2. Who worked prime minister twice for 13 days each. Gulzarilal Nanda worked prime minister twice for 13 days each. 3. Who is the first Prime Minister from South India ? P V Narasimha Rao is the first Prime Minister from South India. 4. Who is the first parliamentarian to give a speech in Hindi in united nations assembly ? Atal Bihari Vajpayee is the first parliamentarian to give a speech in Hindi in united nations assembly. 5. Who was youngest Prime Minister in india ? Rajiv Gandhi was youngest Prime Minister in india. 6. Who is the Father of Indian Economic Reforms ? Pamulaparti Venkata Narasimha Rao is the Father of Indian Economic Reforms. 7. Who founded 8 new IITs to India ? Dr. Manmohan Singh founded 8 new IITs to India. 8. Who is the first lady prime minister to receive Bharat Ratna ? Indira Gandhi is the first lady prime minister to receive Bharat Ratna ?. 9. Who got Bangladesh Swadhinata Samman award (Prime Minister)? Indira Gandhi is the prime minister got Bangladesh Swadhinata Samman award. 10. Who is the first prime minister resigned without completing his office tenure ? Morarji Desai is the first prime minister resigned without completing his office tenure. The constitution defines president is head of states, but executive powers are in the prime minister and his council of ministers. The prime minister is the chief executive of Indian government. He is elected by Indian citizens. Finally, Prime minister is main supervisory of India and chief adviser of president. You will find a lot of questions based on Polity. 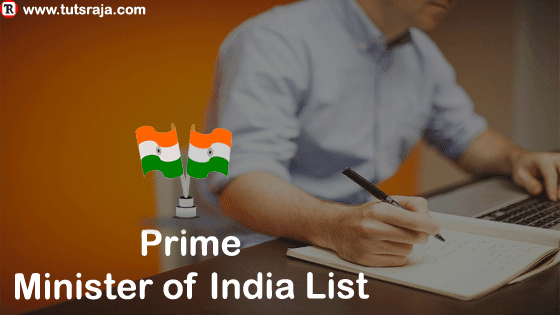 To make your preparation easy for competitive exams, we are providing you with a list of all Prime Ministers in India and important points. Let's see Important points of prime ministers in india. The first prime minister of India is Jawaharlal Nehru. After independence, India had fifteen prime ministers including the present prime minister. Some people elected twice. The prime minister of India Gulzarilal Nanda worked twice for 13 days each. P V Narasimha Rao was the first Prime Minister from South India (Non-Hindi). The Prime Minister who is called Father of Economic Reforms of India – P V Narasimha Rao. The first parliamentarian to give a speech in Hindi in united nations assembly – Atal Bihari Vajpayee. Pandit Jawaharlal Nehru is the first Prime Minister of India and also, he brought the reform of the Ancient Hindu Civil Code. Lal Bahadur Shastri gave the slogan Jai Jawan Jai Kisaan and also promoted White Revolution in India. Indira Gandhi was named the Women of the Millennium and is the first lady to receive Bharat Ratna. She also got Bangladesh Swadhinata Samman. Her courage and boldness helped India win over Pakistan in the 1971 Indo-Pak war. Indira Gandhi is worlds longest serving female prime minister. Morarji Desai was the first PM who resigned without completing his office tenure. He is only Indian Prime Minister who got Nishaan-e-Pakistan (Pakistan’s highest civilian award). Charan Singh removed the Zamindari System and brought Land Reform Acts in India. Rajiv Gandhi was the youngest Prime Minister and also, he brought computers to India. Pamulaparti Venkata Narasimha Rao is known as the Father of Indian Economic Reforms. Atal Bihari Vajpayee improved India’s telecom industries and also, he took initiatives to improve Indo- Pak relationships. Inder Kumar Gujral resisted signing the Comprehensive Test Ban Treaty which paved the path to the Pokhran Nuclear Tests. Dr. Manmohan Singh founded 8 new IITs to India. He also initiated the National Rural Health Mission. Narendra Modi has brought many reform policies in India till date. 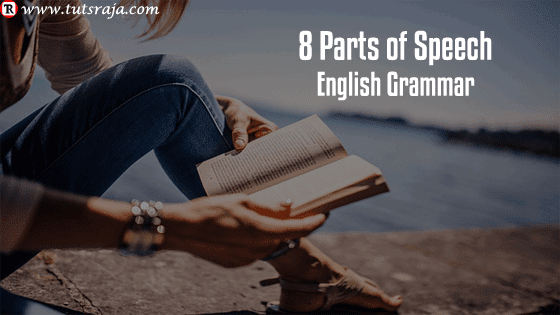 The English grammar is mainly based on parts of speech. In the English language we have 8 parts of speech. The main parts of speech are noun, pronoun, adjective, determiner, verb, adverb, preposition, conjunction, and interjection. A noun is a word which names a person, place, animal, action, quality, feeling or anything. Noun words are Geeta, girl, team, silver, India etc. The pronoun is an advancement of a noun, which is used instead of a noun. Pronoun words are I, we, you, she, it, they, me, us, her, him, mine, myself, ourself, yourself, herself, itself, ours, yours, hers, theirs. The verb is a word, which expresses an action. Verb words are eating, doing, cooking, fighting, working etc. An adverb is a word, which enlarges the meaning of a verb. Adverb words are now, immediately, already, now, here, somewhere, there, anywhere, bravely, sweetly, slowly, intelligently, very, almost, loud, enough, so fast, twice, late, always, never, then, as fast as, most. I can go anywhere in the world. The adjective is a word which enlarges the meaning of the noun. Adjective words are innocent, good, some, half, sufficient, much, two, any number, many, few, many, anyone, that, those, which, what. Priya is an innocent girl. The prepositions are placed before a noun or pronoun show relation between noun and pronoun. Proposition words are on, in, to, of, for, with, by, form, up, down, at, though, till, about, behind, without, above, across, within, besides, between, inside, outside, before, against, into, out of, thought out, without, within, upon. Check instructions before filling an application. The Interjection tells some sudden or emotional feelings. Interjection words are alas! hush, hello, hurray, oh, wow, what. Hurray! We won the match. The Conjunction is word which, joins one word to another word or join one sentence to another. Conjunction words are and, either…or, neither…nor, not only…but also, so…that, as…as, both…and, though…yet. Raju and Ramu both are good friends.